You are here: Home / General / Show Your Character at our October 27th Event! Show Your Character at our October 27th Event! I wanted to do something special to celebrate my 16th birthday, and what better way than to throw a party for the Jennifer Smart Foundation? 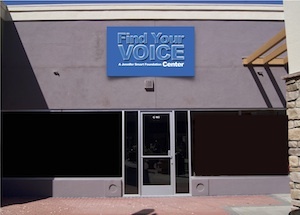 We’re also celebrating bringing the Find Your Voice program to a new home in Southern California. This star-filled event, featuring costumes and young music performers, will help us raise money to build our new center, and we hope you’ll join us. You’re invited to “Show Your Character” on October 27th from 1-5pm in Van Nuys, CA. This event benefits the Jennifer Smart Foundation’s Find Your Voice program, which works to improve communication skills and self esteem in sick, healthy and disadvantaged kids. This fun afternoon, hosted by Disney XD’s Ryan Ochoa and spotlighting several young artists, includes special performances by the Ochoa Boyz featuring Chi-Town Finest Breakers and by Tim Urban of American Idol. We appreciate your support, whether or not you can attend. Please share this information with everyone you know! Hope you’ll rock out with us at “Show Your Character” on the 27th! Really enjoyed hearing that ERIC SCHACKNE performed last Saturday and help support your worthy cause. I know he is a multi-instrumentalist and gifted song writer. When can we hear more of his playing?